India has around 29.5 percent of its population between the age group of 0-14 years. Currently, India stands at 73rd position among 74 countries in the world (PISA survey), when she is assessed in terms of skills exhibited by children in the areas of mathematics, reading and science. Further, in spite of making strides in achieving near universal enrollments, increasing drop-out rates still remains a pressing issue. Together with the primary and secondary education sector, India’s higher education sector has also failed to map the future demand for various skills and has not kept pace with industry’s growth. 2014 is the 6th year in a row that enrolment levels are 96% or higher for the age group of 6-14 years. Although enrolment levels are very high for the age group covered by the Right to Education Act (i.e. 6 to 14 years), the proportion of 15 to 16 year olds not enrolled in school is substantial. Tragically, In this era where we talk about bridging the inequalities in the society, India has failed spectacularly in ensuring quality education to the children of poor families. In fact most children – poor or middle class – are denied quality education; and poor quality education perpetuates the vicious cycle of poverty and deepens economic and social inequalities. RTE is the biggest stumbling block for improvement of school education outcomes. RTE, has been focusing on enrolment, instead of focusing on outcomes, by prohibiting all kinds of examinations. Instead of promoting competition and choice, the law sought to create a government monopoly. The net result is shift of enrolment of poor children into private sector, and appalling outcomes in education in general. 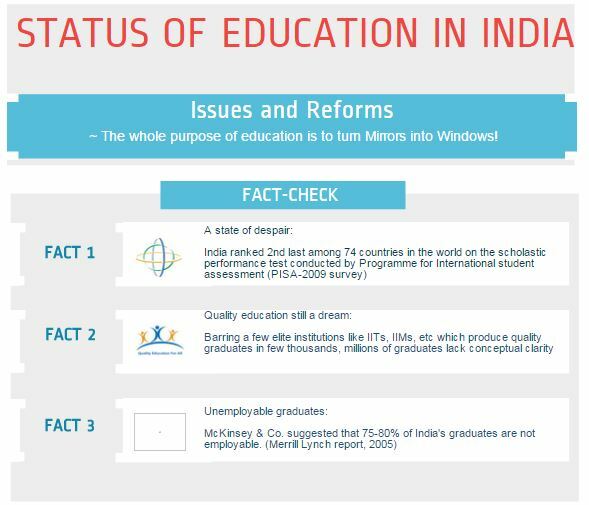 In a developing country like India, reforms in education have the potential to achieve sustainable and far-reaching improvement in the lives of millions of Indians. Two key features will guarantee better outcomes. First, sensible evaluation and stress free examinations to measure outcomes and define success. The second measure is choice to parents and competition among providers of education — public or private. 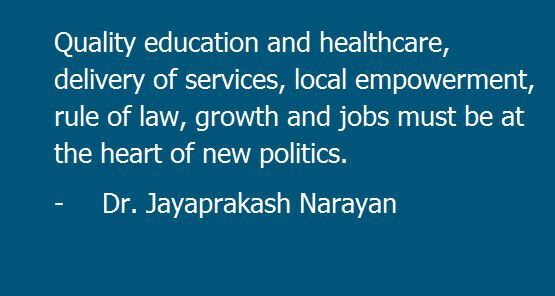 Also, the public private partnership (PPP) model could be adopted for delivery of quality education in India. 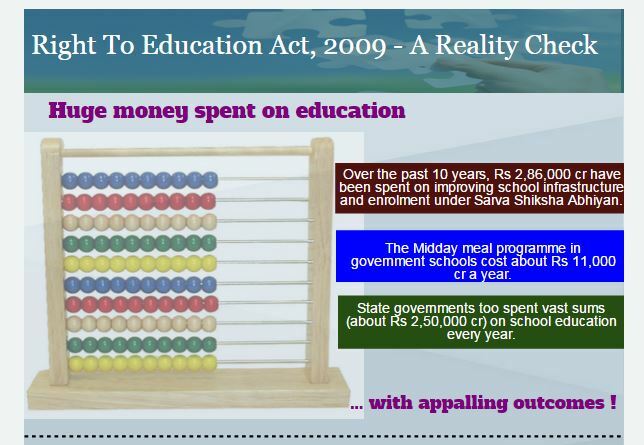 With built in salient features such as incentivization of better performing schools/colleges, teacher performance and setting up of an institutional mechanism for mandatory assessment of education outcomes, PPP is bound to deliver and has the capacity to become the yardstick for future educational policy initiatives in India. Once evaluation and choice are institutionalized, there will be a sea change in educational outcomes. Other measures— consolidation of schools to give economies of scale, proper teacher training, and greater accountability through autonomous district education boards will deepen the process.